This bridge looks a lot like the Lenny Zakim Bunker Hill Memorial Bridge in Boston, a truly spectacular structure. I wonder if the same designer did both bridges? It’s beautiful. 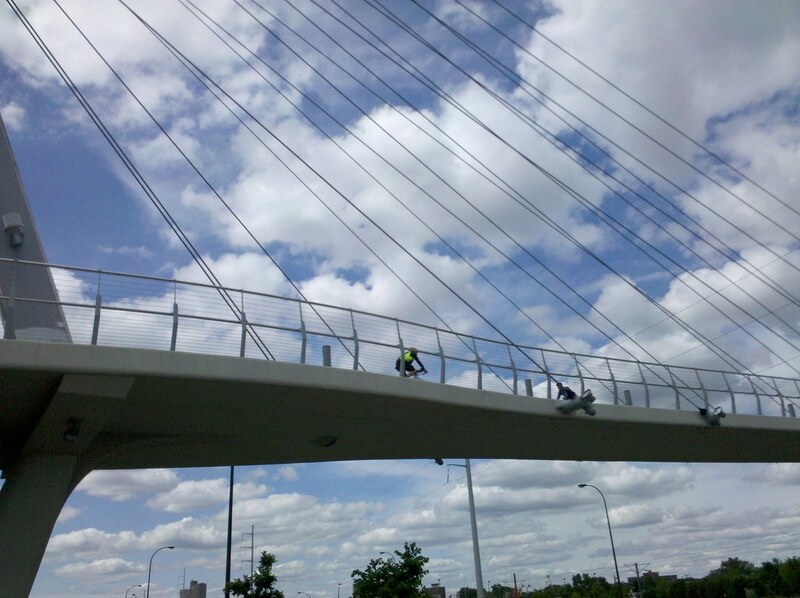 AND especially cool because it’s a pedestrian bridge. See also the Sundial Bridge in Redding, CA. Terrific, and it leads to the arboretum, which is great. That's the idea, at least. 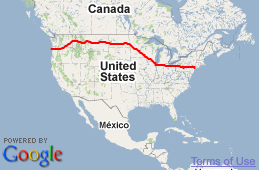 I'm walking westward from New York City for nine months or so. If everything goes according to plan, I'll be in Oregon when the clock runs out. If nothing goes according to plan, maybe I'll end up in Peru or Mongolia or Pennsylvania. You can read all about the details of my trip if you're so inclined. Day 88: Happy Belated Father's Day!